Hello from Paris, dear readers. 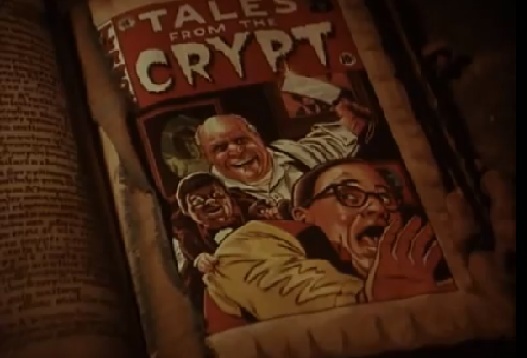 In honor of being in the city that gave us the Grand Guignol, arguably the first really popular horror franchise out there, I thought I’d cleave into some of my favorite installments from one of the truly great horror anthology series out there, Tales from the Crypt. 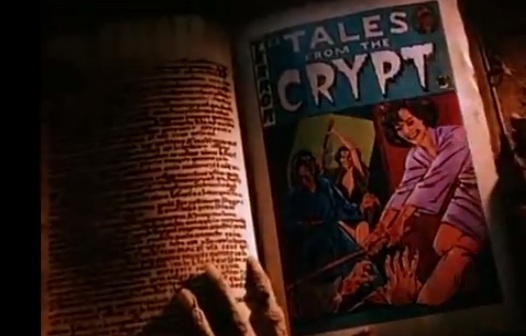 Produced by top Hollywood talent, with dozens of famous guest stars, drawing from the most classic of stories from the original EC Comics, and totally free from traditional network censorship thanks to HBO, Tales from the Crypt was television at its best, presenting cinema quality work (at least until the notorious seventh season…). Admittedly a good part of my appreciation for this episode just comes from the fact that it involves Don Rickles at his crotchety best and Bobcat Goldthwait as…well, Bobcat Goldthwait. But I can also appreciate how clever this episode is. It’s about an ambitious yet talentless ventriloquist who desperately seeks out his idol, who retired after a mysterious fire and death took place after a performance. A viewer might think this is going the “alternate personality channeled through the dummy” route, but the truth is actually much more…visceral. The very end spoils the episode for me, enough that it knocks it down a few pegs on my list, largely because it pushes the pre-Hollywood respectability Peter Jackson-esque atmosphere of the episode a tad too far, but otherwise it’s an excellent twist on a horror cliche. Like with so many of the better Tales from the Crypt episodes, so much is being carried by one or two talents. In this case, it’s Amanda Plummer, who plays the part of a meek and eccentric heiress just married to a dangerous gold digger. The twist is probably obvious early on, but the build-up still makes the episode worth watching, especially for the details – the sheer offness of the house, the sight of Amanda Plummer rising from her lover’s couch (if you’ve seen it I’m sure you know what I’m talking about), the tastefully gory climax…it’s just good, bloody fun. Okay, the seventh season is universally agreed to be the weakest by far. Budgets were visibly whittled down, the writing overall became weaker, and the Hollywood a-listers were replaced by mostly unknown British actors (although you will come across Ewan McGregor, Steve Coogan, Daniel Craig, and Bob Hoskins!). (There is a big exception to this dissing of the entire season, but we’ll get to it). That said…I do like this episode about a hugely successful mystery writer caught up in an elaborate murder scheme involving her estranged husband and the young neighbor who has a crush on her. I can see why it might deserve to be written off with almost all the rest of season seven – for one thing, it lacks that delicate balance of camp and serious horror that defines the series at its best – yet in its own right it is an enjoyable enough send-up of the tradition of Agatha Christie, with a nice little twist. 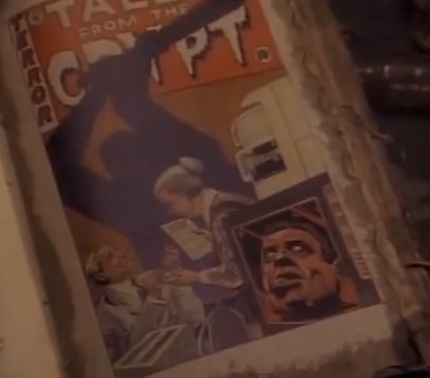 This is the most un-Tales from the Crypt episode of Tales from the Crypt. 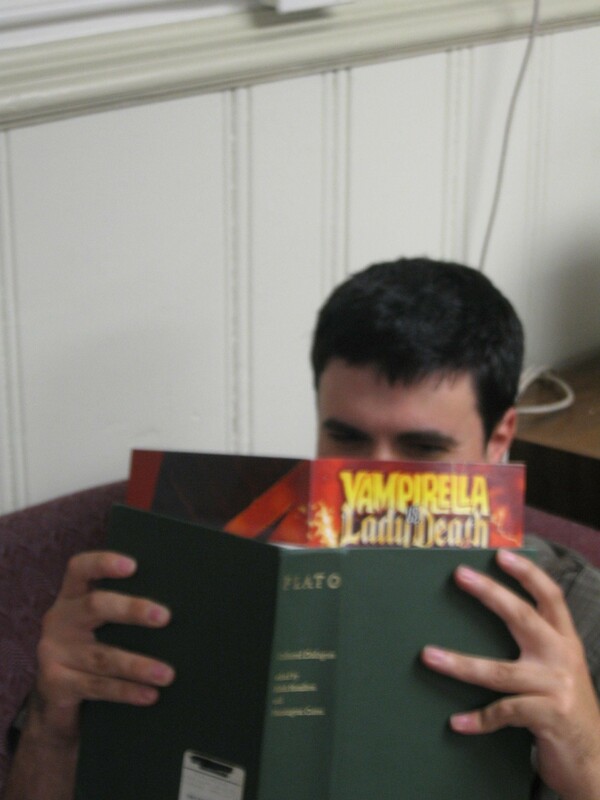 There are no elements of murder or the supernatural or really horror in general here. It’s a World War I tale about a general’s son who is accused of causing the deaths of his entire platoon because of his cowardice with the general himself holding his son’s trial. 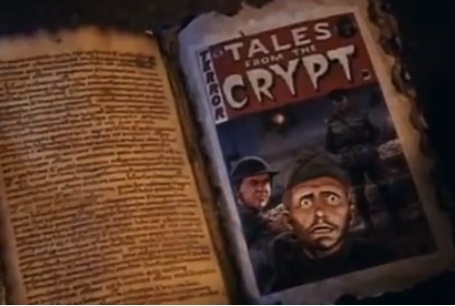 There’s a reason why this strange hour-long episode stands out; it was originally part of a movie-length pilot (along with two other stories also converted into Tales from the Crypt episodes) for another adaptation of an EC comic, the adventure and military-themed Two Fisted Tales. The pilot didn’t succeed, which is unfortunate, because Yellow, which stars the real-life father and son duo of Kirk and Eric Douglas, is very good indeed. 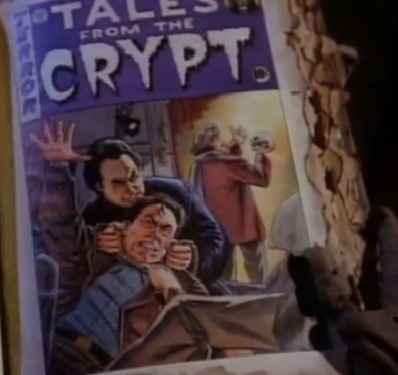 In fact, on a purely technical level, it could ironically be the best of the Tales from the Crypt episodes, from its top Hollywood quality to its brilliant casting. Even if it’s accidental genre defiance is a turn-off to fans of the show, it’s worth checking out. A salesman whose craft barely rises above the level of con-artistry drops by a farmhouse, whose inhabitants are on a crusade to rid the world of sleazy salespeople, one at a time. He has one shot at salvation that will require all of his snake oil shilling skills, but will he succeed? Well, he’s a jerkass in a Tales from the Crypt episode, so…Anyway, this episode is notable for starring Tim Curry in not just one, but three homicidal hillbilly roles. So, yes, you could call this Texas Chainsaw Massacre As Interpreted By Tim Curry, but its also a great example of Tales from the Crypt-style karmic justice. This is probably another controversial addition to my list, because I can easily see why this episode veers too far into camp for some people. Regardless, this episode is so distinctive and stylish from its larger-than-life characters to the theatrical, day-glo visuals it’s hard to write off, and Carol Kane (perhaps best known as the shrill fairy-like Ghost of Christmas Past from Scrooged) sells the bizarre mood perfectly as a housewife who has an unpleasant body-switching encounter with a witch. The manic and surreal tone does give way to a downbeat ending, even by Tales standards, but that only makes the whole affair even more distinctive. A big city ambulance chaser par excellence winds up in the courthouse in a rural New York town literally called “Sticksville” that seems to be stuck in the 1960s and is known as a “tough town.” At first it just seems like she’s being targeted for a minor traffic violation by an overzealous judge with a grudge against New Yorkers, but matters quickly get more bizarre – and dangerous. Like “Judy, You’re Not Yourself Today,” it’s one of the more visually distinctive episodes, with plenty of Tim Burton and David Lynch-esque turns of the camera. However, I enjoy the meat of the story here too, which does quite well in taking something that seems to be there for laughs and by the end turns it into something quite tragic. Some of my favorite episodes are the ones that stick close to the simple, brutal morality tale formula of the original comics, and out of that category my favorite is this one. Right after his retirement a man finds that his wife’s passion for animals is becoming too much to take, and goes to horrific lengths to deal with her “hobby.” It’s a ruthless, mean-spirited episode that works overtime to get the viewer to anticipate the inevitable karmic retribution – and that’s exactly why I love it. Even so, you might want to skip this one, if you’re a big animal lover. I mentioned how the seventh and last season is a definite low point. The big exception according to a lot of fans was the finale, which completely broke with everything else the show had done in its seven-year history. 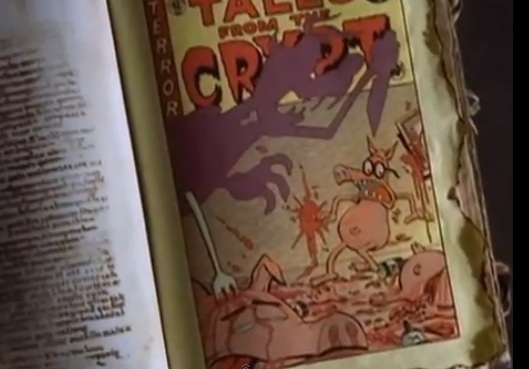 It’s a cartoon adaptation of “The Three Little Pigs,” but with alcoholism, ultraviolence, death row, and the undead, mixed in liberally with old-fashioned Looney Toons sight gags and fourth wall shattering jokes. It’s about as close to a real-life 30-minute episode of “Itchy & Scratchy” as you’ll get. Most of this list wasn’t in any specific order, but this is without a doubt my favorite episode. 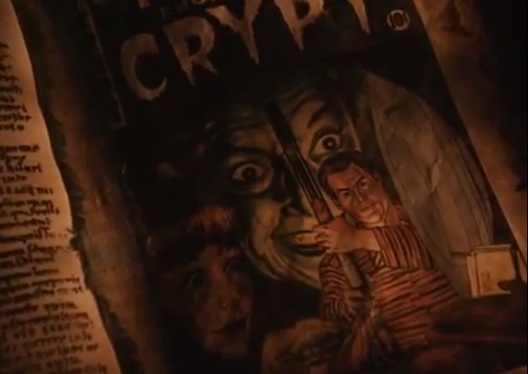 It’s not just that it stars Jon Lovitz and John Astin, this is just to me the quintessential example of the Tales from the Crypt formula: irony, moral retribution, and one well executed twist, the sort that actually makes the episode worth watching for the carefully hidden hints. A struggling actor learns that his lack of roles is because he’s not handsome enough. His last hope is an off-off-Broadway performance of “Hamlet”, but even there his “friend,” an attractive, shallow, and more successful actor, is in the competition, a sight that finally might make him snap. It’s the usual EC horror formula, but the fun is seeing that formula executed to perfection. That’s it, fiends. 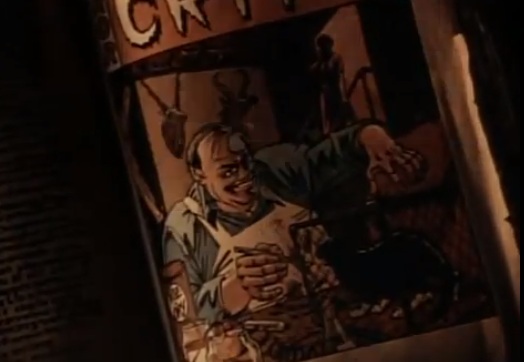 While as with any anthology series there are episodes that fall flat, Tales from the Crypt remains one of the most consistently strong anthology series out there. It was an example of the rare TV show that benefited from the rare conflux of prime talent, good will from the powers that be, and a receptive audience (so much so that originally the show was only supposed to run a few seasons, not the seven that happened). Good horror anthology series are few and far between, but at least there’s always your pal the Cryptkeeper to go back to.